Europa Clipper is an interplanetary mission in development by NASA comprising an orbiter. Set for a launch around 2022-2025, the spacecraft is being developed to study the Galilean moon Europa through a series of flybys while in orbit around Jupiter. This mission is a scheduled flight of the Planetary Science Division, designated a Large Strategic Science Mission, and funded under the Planetary Missions Program Office's Solar System Exploration program as its second flight. It is also supported by the new Ocean Worlds Exploration Program. Europa Clipper will perform follow-up studies to those made by the Galileo spacecraft during its eight years in Jupiter orbit, which indicated the existence of a subsurface ocean underneath Europa. Plans to send a spacecraft to Europa were initially conceived with projects such as Europa Orbiter and Jupiter Icy Moons Orbiter, in which a spacecraft would be injected into orbit around Europa. However, due to the strong impact of radiation from Jupiter's magnetosphere in Europan orbit, it was decided that it would be safer to inject a spacecraft into an elliptical orbit around Jupiter and make 45 close flybys of the moon instead. The mission began as a joint investigation between the Jet Propulsion Laboratory and the Applied Physics Laboratory. The mission will complement ESA's Jupiter Icy Moons Explorer launching in 2022, which will fly-by Europa twice and Callisto multiple times before moving into orbit around Ganymede. Launching around the same time as the Europa Clipper, the Jupiter Icy Moons Explorer will have a cruise phase some three times as long. The Europa Clipper orbiter will be built and manufactured with a scientific payload of nine instruments, contributed by the JPL, APL, Southwest Research Institute, University of Texas, Arizona State University and University of Colorado Boulder. 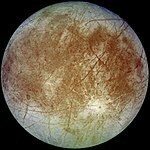 Europa has been identified as one of the locations in the Solar System that could possibly harbor microbial extraterrestrial life. Immediately following the Galileo spacecraft's discoveries, JPL conducted preliminary mission studies that envisioned a capable spacecraft such as the Jupiter Icy Moons Orbiter (a $16B mission concept), the Jupiter Europa Orbiter (a $4.3B concept), an orbiter ($2B concept), and a multi-flyby spacecraft: Europa Clipper. The proposed Europa Clipper is still in its planning phase, but the approximate cost is estimated at $2 billion. The mission is a joint project between the Johns Hopkins University's Applied Physics Laboratory (APL), and the Jet Propulsion Laboratory (JPL). The mission's name is a reference to the lightweight clipper ships of the 19th century that routinely plied trade routes around the world. The moniker was chosen because the spacecraft will "sail" past Europa, as frequently as every two weeks. In March 2013, $75 million USD were authorized to expand on the formulation of mission activities, mature the proposed science goals, and fund preliminary instrument development, as suggested in 2011 by the Planetary Science Decadal Survey. In May 2014, a House bill substantially increased the Europa Clipper (referred to as Europa Multiple Flyby Mission) funding budget for the 2014 fiscal year from $15 million to $100 million to be applied to pre-formulation work. Following the 2014 election cycle, bipartisan support was pledged to continue funding for the Europa Multiple Flyby Mission project. The executive branch has also granted $30 million for preliminary studies. In April 2015, NASA offered to the European Space Agency to submit concepts for an additional probe to fly together with the Europa Clipper spacecraft, with a mass limit of 250 kg maximum. It could be a simple probe, an impactor, or a lander. An internal assessment at ESA is underway to see if there is interest and funds available, opening a collaboration scheme similar to the very successful Cassini-Huygens approach. In May 2015, NASA chose nine instruments that would fly on board the orbiter. They will cost about $110 million over the next three years. In June 2015, NASA announced its approval of the mission concept, allowing the orbiter to move to its formulation stage, and in January 2016 it approved a lander as well. In May 2016 the Ocean Worlds Exploration Program was approved, of which the Europa mission is part. In February 2017 the mission moved from Phase A to Phase B. Phase B is the preliminary design phase of the mission, planned to continue through September 2018. In addition, subsystem vendors will be selected, as well as prototype hardware elements for the science instruments. Spacecraft subassemblies will be built and tested as well. Phases C and D include final design, spacecraft fabrication, assembly and testing, and launch. In 18 July 2017, the House Space Subcommittee held hearings on the Europa Clipper as a scheduled Large Strategic Science Missions class, and to discuss a possible follow up mission simply known as the Europa Lander. The concept to achieve global-regional coverage of Europa during successive flybys. Ice shell and ocean: Confirm the existence, and characterize the nature, of water within or beneath the ice, and processes of surface-ice-ocean exchange. Composition: Distribution and chemistry of key compounds and the links to ocean composition. Geology: Characteristics and formation of surface features, including sites of recent or current activity. Because Europa lies well within the harsh radiation fields surrounding Jupiter, even a radiation-hardened spacecraft in near orbit would be functional for just a few months. Another key limiting factor on science for a Europa orbiter is not the time the instruments can make observations. Rather, it is the time available to return data to Earth. Most instruments can gather data far faster than the communications system can transmit it to Earth because there are a limited number of antennas available to receive the scientific data. Studies by scientists from the Jet Propulsion Laboratory show that by performing several flybys with many months to return data, the Europa Clipper concept will enable a $2B mission to conduct the most crucial measurements of the cancelled $4.3B Jupiter Europa Orbiter concept. Between each of the flybys, the spacecraft will have seven to ten days to transmit data stored during each brief encounter. That will let the spacecraft have up to a year of time to transmit its data compared to just 30 days for an orbiter. The result will be almost three times as much data returned to Earth, while reducing exposure to radiation. The Europa Clipper will not orbit Europa, but instead orbit Jupiter and conduct 45 flybys of Europa at altitudes from 25 to 2,700 km (16 to 1,700 mi) each during its 3.5-year mission. A key feature of the mission concept is that the Clipper would use gravitational attraction from Europa, Ganymede and Callisto to change its trajectory, allowing the spacecraft to return to a different close approach point with each flyby. Each flyby would cover a different sector of Europa in order to achieve a medium-quality global topographic survey, including ice thickness. The Europa Clipper could conceivably flyby at low altitude through the plumes of water vapor erupting from the moon's icy crust, thus sampling its subsurface ocean without having to land on the surface and drill though the ice. The Europa Clipper will inherit tested technology of the Galileo and Juno Jupiter orbiters with regards to radiation protection. Shielding will be provided by 150 kilograms of titanium. To maximize its effectiveness, the electronics will be nested in the core of the spacecraft for additional radiation protection. Both radioisotope thermoelectric generator and photovoltaic power sources were assessed to power the orbiter. Although solar power is only 4% as intense at Jupiter as it is in Earth's orbit, powering a Jupiter orbital spacecraft by solar panels was demonstrated by the Juno Mission. The alternative to solar panels was a Multi-Mission Radioisotope Thermoelectric Generator, fueled with plutonium-238. The power source has already been demonstrated in the Mars Science Laboratory mission. Five units were available, with one reserved for the Mars 2020 rover mission and another as backup. In September 2013 it was decided that the solar array was the less expensive option to power the spacecraft, and on October 3, 2014, it was announced that solar panels were chosen to power Europa Clipper. The mission's designers determined that solar was both cheaper than plutonium and practical to use on the spacecraft. Despite the increased weight of solar panels compared to plutonium-powered generators, the vehicle's mass had been projected to still be within acceptable launch limits. Initial analysis suggest that each panel will have a surface area of 18 m2 (190 sq ft) and produce 150 watts continuously when pointed towards the Sun while orbiting Jupiter. While in Europa's shadow, batteries will enable the spacecraft to continue gathering data. However, ionizing radiation can damage solar panels. The Europa Clipper's orbit will pass through Jupiter's intense magnetosphere, which is expected to gradually degrade the solar panels as the mission progresses. The solar panels will be provided by Airbus Defense and Space Netherlands. Europa Thermal Emission Imaging System E-THEMIS The Europa Thermal Emission Imaging System will provide high spatial resolution, multi-spectral imaging of Europa in the mid infrared and far infrared bands to help detect active sites, such as potential vents erupting plumes of water into space. This instrument is derived from the Thermal Emission Imaging System (THEMIS) on the 2001 Mars Odyssey orbiter, also developed by Philip Christensen. Mapping Imaging Spectrometer for Europa MISE The Mapping Imaging Spectrometer for Europa is an imaging near infrared spectrometer to probe the surface composition of Europa, identifying and mapping the distributions of organics (including amino acids and tholins), salts, acid hydrates, water ice phases, and other materials. From these measurements, scientists expect to be able to relate the moon's surface composition to the habitability of its ocean. MISE is built in collaboration with the Johns Hopkins University Applied Physics Laboratory (APL). Europa Imaging System EIS The Europa Imaging System is a visible-spectrum wide and narrow angle camera instrument that will map most of Europa at 50 m (160 ft) resolution, and will provide images of selected surface areas at up to 0.5 m resolution. Europa Ultraviolet Spectrograph Europa - UVS The Europa Ultraviolet Spectrograph instrument will be able to detect small plumes and will provide valuable data about the composition and dynamics of the moon's exosphere. Principal Investigator Kurt Retherford was part of a group that discovered plumes erupting from Europa while using the Hubble Space Telescope in the UV spectrum. Radar for Europa Assessment and Sounding: Ocean to Near-surface REASON The Radar for Europa Assessment and Sounding: Ocean to Near-surface (REASON) is a dual-frequency ice penetrating radar instrument that is designed to characterize and sound Europa's ice crust from the near-surface to the ocean, revealing the hidden structure of Europa's ice shell and potential water pockets within. This instrument will be built by JPL. Interior Characterization of Europa using Magnetometry ICEMAG The Interior Characterization of Europa using Magnetometry (ICEMAG) is a magnetometer that will measure the magnetic field near Europa and in conjunction with the PIMS instrument will probe the location, depth, thickness and salinity of Europa's subsurface ocean using multi-frequency electromagnetic sounding. Plasma Instrument for Magnetic Sounding PIMS The Plasma Instrument for Magnetic Sounding measures the plasma surrounding Europa to characterise the magnetic fields generated by plasma currents. These plasma currents mask the magnetic induction response of Europa's subsurface ocean. In conjunction with the ICEMAG instrument, it is key to determining Europa's ice shell thickness, ocean depth, and salinity. PIMS will also probe the mechanisms responsible for weathering and releasing material from Europa's surface into the atmosphere and ionosphere and understanding how Europa influences its local space environment and Jupiter's magnetosphere. Mass Spectrometer for Planetary Exploration MASPEX The Mass Spectrometer for Planetary Exploration will determine the composition of the surface and subsurface ocean by measuring Europa's extremely tenuous atmosphere and any surface materials ejected into space. Jack Waite, who led development of MASPEX, was also Science Team Lead of the Ion and Neutral Mass Spectrometer (INMS) on Cassini spacecraft. SUrface Dust Mass Analyzer SUDA The SUrface Dust Mass Analyzer is a mass spectrometer that will measure the composition of small solid particles ejected from Europa, providing the opportunity to directly sample the surface and potential plumes on low-altitude flybys. The instrument is capable of identifying traces of organic and inorganic compounds in the ice of ejecta. Since the Europa Clipper mission may not be able to easily modify its orbital trajectory or altitude to fly through the episodic water plumes, scientists and engineers working on the mission have investigated deploying from the spacecraft several miniaturized satellites of the CubeSat format, possibly driven by ion thrusters, to fly through the plumes and assess the habitability of Europa's internal ocean. Some early proposals include Mini-MAGGIE, DARCSIDE, and Sylph. The Europa Clipper would relay signals from the nanosatellites back to Earth. With propulsion, some nanosatellites could also be capable of entering orbit around Europa. NASA is also assessing the release of an additional 250 kg (550 lb) probe called Biosignature Explorer for Europa (BEE), that would be equipped with a basic bi-propellant engine and cold gas thrusters to be more agile and responsive to the episodic activity on Europa and sample and analyze the water plumes for biosignatures and life evidence before they are destroyed by radiation. The BEE plume probe would be equipped with a proven mass spectrometer combined with gas chromatograph separation. It would also carry a UV plume targeting camera as well as visible and IR cameras to image the active region with better resolution than the Clipper mother ship instruments. The BEE probe would fly through at 2–10 km altitude, then make a quick exit and perform its analysis far from the radiation belts. A European proposal is an independent powered spacecraft equipped with a magnetometer that would orbit Europa on a polar orbit for at least six months. It would determine the deep interior structure of Europa and provide a good determination of the ice shell thickness and ocean depth, which arguably cannot be done accurately by multiple flybys. Some proposed impactor probe concepts include those by the Netherlands, and United Kingdom. The Europa Life Signature Assayer (ELSA) concept by the University of Colorado consists of a probe that is flown as a secondary payload. ELSA would use a small impactor to create a plume of subsurface particles and catapult them to altitudes where it would be able to pass through to collect samples and analyze them on board. A variation of this concept is the 1996 Ice Clipper, which involves a 10 kg impactor that would be jettisoned from the main spacecraft to impact Europa, thereby creating a debris cloud in nearby space about 100 km altitude, subsequently sampled by a small spacecraft on a close flyby and use Europa's gravitational force for a free return trajectory. The collection mechanism is tentatively considered to be Aerogel (similar to Stardust mission). An early Europa Clipper concept calls for a small lander about 1 meter in diameter, perhaps about 230 kg (510 lb) with a maximum of 30 kg (66 lb) for instruments plus propellant. Suggested instruments are a mass spectrometer and a Raman spectrometer to determine the chemistry of the surface. The lander would be delivered to Europa by the main spacecraft and possibly require the sky crane system for a high precision, soft landing near an active crevasse. The lander would operate about 10 days on the surface using battery power. In January 2016 it was determined that including the additional mass of a lander and detachable probes, meant the Europa Clipper may need be launched with NASA's Space Launch System (SLS) heavy lift launch vehicle that could arrive at Jupiter on a direct trajectory in less than three years. The Europa Clipper would take about three years to image 95% of the surface of Europa at about 50 meters per pixel. With this data, scientists could then find a suitable landing site. By one estimate, including a lander could add as much as $1 billion to the mission's cost. It was determined that designing a system capable of landing on a surface about which very little is known, is too much risk, and that the Europa Clipper will lay the foundation for a future landing by performing detailed reconnaissance. This led to a stand-alone mission proposal in 2017: the Europa Lander. The NASA Europa Lander, if funded, would be launched separately in 2024 to complement the studies by the Europa Clipper mission. If funded, approximately 10 proposals may be selected to proceed into a competitive process with a $1.5 million budget per investigation. The current baseline profile for the mission involves launch aboard NASA's Space Launch System (SLS) heavy lift launch vehicle with a cruise to Jupiter on a direct trajectory in less than three years. Since the development and timing of the SLS may not match the mission's timing, an official alternative is a launch on an Atlas V 551. By using a Venus-Earth-Earth gravity assist trajectory the transit time to Jupiter would be about six years. Other alternatives, also requiring an indirect cruise, include launching on a Falcon Heavy, or another EELV. ↑ 1.0 1.1 1.2 Leone, Dan (22 July 2013). "NASA's Europa Mission Concept Progresses on the Back Burner". Space News. ↑ 2.0 2.1 2.2 2.3 2.4 2.5 Phillips, Cynthia B.; Pappalardo, Robert T. (20 May 2014). "Europa Clipper Mission Concept:". Eos, Transactions American Geophysical Union. 95 (20): 165–167. Bibcode:2014EOSTr..95..165P. doi:10.1002/2014EO200002. Retrieved 2014-10-01. ↑ 3.0 3.1 3.2 3.3 3.4 The Sextant: Europa Clipper Newsletter. NASA. March 2018, ;volume 2, issue 1. ↑ Goldstein, Barry; Pappalardo, Robert (19 February 2015). "Europa Clipper Update" (PDF). Outer Planets Assessment Group. ↑ Europa Update. Barry Goldstein, Robert Pappalardo. 30 March 2016. ↑ 6.0 6.1 NASA may extend space station missions to address potential commercial crew delays. Jeff Foust, Space News. 13 April 2018. ↑ 7.0 7.1 7.2 7.3 7.4 7.5 The billion-dollar question: How does the Clipper mission get to Europa? Eric Berger, Ars Technica'2' 16 April 018. ↑ 8.0 8.1 Europa Clipper Newsletter. Barry Goldstein. 29 June 2018. NASA. ↑ "Europa Multiple Flyby Mission". Solar System Exploration. National Aeronautics and Space Administration. Retrieved 9 July 2015. ↑ 11.0 11.1 11.2 11.3 11.4 11.5 11.6 11.7 Kane, Van (5 January 2016). "A Lander for NASA's Europa Mission". The Planetary Society. Retrieved 2016-01-05. ↑ 12.0 12.1 12.2 Wall, Mike (5 March 2014). "NASA Eyes Ambitious Mission to Jupiter's Icy Moon Europa by 2025". Space.com. Retrieved 2014-04-15. ↑ 13.0 13.1 https://www.aip.org/fyi/2017/balance-nasa-planetary-science-missions-explored-hearing. American Institute of Physics. 21 July 2017. ↑ PMPO staff. "Solar System Exploration Missions List". Planetary Missions Program Office (PMPO). National Aeronautics and Space Administration (NASA). Archived from the original on 27 March 2018. Retrieved 27 March 2018. ↑ 15.0 15.1  (PDF) NASA'S FY2016 BUDGET REQUEST - Overview. May 27, 2015. ↑ 16.0 16.1 Dreier, Casey (12 December 2013). "Europa: No Longer a "Should," But a "Must"". The Planetary Society. ↑ Schulze-Makuch, Dirk; Irwin, Louis N. (2001). "Alternative Energy Sources Could Support Life on Europa" (PDF). Departments of Geological and Biological Sciences. University of Texas at El Paso. Archived from the original (PDF) on 2006-07-03. ↑ 18.0 18.1 18.2 Zabarenko, Deborah (7 March 2011). "Lean U.S. missions to Mars, Jupiter moon recommended". Reuters. ↑ "Project Prometheus final report – page 178" (PDF). 2005. Archived from the original (PDF) on March 4, 2016. Retrieved January 20, 2015. ↑ 20.0 20.1 20.2 20.3 20.4 20.5 Kane, Van (26 August 2014). "Europa: How Less Can Be More". Planetary Society. Retrieved 2014-08-29. ↑ 21.0 21.1 Pappalardo, Robert; Cooke, Brian; Goldstein, Barry; Prockter, Louise; Senske, Dave; Magner, Tom (July 2013). "The Europa Clipper" (PDF). OPAG Update (PDF)|format= requires |url= (help). Lunar and Planetary Institute. ↑ 22.0 22.1 Dyches, Preston (9 March 2017). "NASA Mission Named 'Europa Clipper'". JPL - NASA. Retrieved 2017-10-28. ↑ "Destination: Europa". Europa SETI. March 29, 2013. Archived from the original on August 23, 2014. ↑ 24.0 24.1 Clark, Stephen (14 March 2014). "Economics, water plumes to drive Europa mission study". Spaceflight Now. Retrieved 2014-04-15. ↑ Zezima, Katie (8 May 2014). "House gives NASA more money to explore planets". Washington Post. Retrieved 2014-05-09. ↑ Morin, Monte (8 May 2014). "$17.9-billion funding plan for NASA would boost planetary science". Los Angeles Times. Retrieved 2014-05-09. ↑ Nola Taylor Redd (November 5, 2014). "To Europa! Mission to Jupiter's Moon Gains Support in Congress". Retrieved August 31, 2016. ↑ Dreier, Casey (3 February 2015). "It's Official: We're On the Way to Europa". Retrieved 8 February 2015. ↑ Kane, Van (3 February 2015). "2016 Budget: Great Policy Document and A Much Better Budget". Retrieved 8 February 2015. ↑ 30.0 30.1 Clark, Stephen (March 10, 2015). "Europa Multiple Flyby Mission concept team aims for launch in 2022". Space Flight Now. Retrieved 2015-04-09. ↑ Akon - A Penetrator for Europa. (PDF) Geraint Jones. Geophysical Research Abstracts. Vol. 18, EGU2016-16887, 2016. EGU General Assembly 2016. ↑ Clark, Stephen (10 April 2015). "NASA invites ESA to build Europa piggyback probe". Space Flight Now. Retrieved 2015-04-17. ↑ Amos, Jonathan (19 April 2016). "European scientists set eyes on ice moon Europa". BBC News. Retrieved 2016-04-19. ↑ Blanc, Michel; Jones, Geraint H.; Prieto-Ballesteros, Olga; Sterken, Veerle J. (2016). "The Europa initiative for ESA's cosmic vision: a potential European contribution to NASA's Europa mission" (PDF). Geophysical Research Abstracts. 18. Retrieved 2016-09-29. ↑ Klotz, Irene (26 May 2015). "NASA's Europa Mission Will Look for Life's Ingredients". Discovery News. Retrieved 2015-05-26. ↑ Howell, Elizabeth (20 June 2015). "NASA's Europa Mission Approved for Next Development Stage". Space.com. Retrieved 2015-06-21. ↑ 40.0 40.1 40.2 Kornfeld, Laurel (January 4, 2016). "Additional $1.3 billion for NASA to fund next Mrs rover, Europa mission". The Space Reported. Archived from the original on January 18, 2016. Retrieved January 5, 2016. ↑ 42.0 42.1 42.2 Greicius, Tony (2017-02-21). "NASA's Europa Flyby Mission Moves into Design Phase". NASA. Retrieved 2017-02-22. ↑ Pappalardo, Robert T.; Vance, S.; Bagenal, F.; Bills, B.G. ; Blaney, D.L. ; Blankenship, D.D. ; Brinckerhoff, W.B. ; Connerney, J.E.P. ; Hand, K.P. ; Hoehler, T.M. ; Leisner, J.S. ; Kurth, W.S. ; McGrath, M.A. ; Mellon, M.T. ; Moore, J.M. ; Patterson, G.W. ; Prockter, L.M. ; Senske, D.A. ; Schmidt, B.E. ; Shock, E.L.; Smith, D.E. ; Soderlund, K.M. (2013). "Science Potential from a Europa Lander". Astrobiology. 13 (8): 740–73. Bibcode:2013AsBio..13..740P. doi:10.1089/ast.2013.1003. PMID 23924246. Retrieved 2013-12-14. ↑ "Europa Clipper". NASA - JPL. 2015. Retrieved 2015-02-08. ↑ Europa Clipper Mission Concept: Exploring Jupiter's Ocean Moon (PDF). Cynthis B. Phillips, and Robert T. Pappalardo. Eos, Transactions American Geophysical Union, Volume 95, Issue 20. 20 May 2014. ↑ 47.0 47.1 47.2 47.3 47.4 Kane, Van (26 May 2013). "Europa Clipper Update". Future Planetary Exploration. ↑ Foust, Jeff (8 October 2014). "Europa Clipper Opts for Solar Power over Nuclear". Retrieved 8 February 2015. ↑ Dreier, Casey (5 September 2013). "NASA's Europa Mission Concept Rejects ASRGs – May Use Solar Panels at Jupiter Instead". The Planetary Society. ↑ 51.0 51.1 51.2 Amato, Michael J.; Spidaliere, P.; Mahaffy, P. (2016). Biosignature Explorer for Europa (BEE) Probe – The Concept for Directly Searching for Life Evidence on Europa at Lower Cost and Risk (PDF). 47th Lunar and Planetary Science Conference. ↑ "NASA's Europa Mission Begins with Selection of Science Instruments". Jet Propulsion Laboratory. NASA News. 26 May 2015. Retrieved 2015-05-27. ↑ MISE: A Search for Organics on Europa. Whalen, Kelly; Lunine, Jonathan I.; Blaney, Diana L. American Astronomical Society, AAS Meeting #229, id.138.04. January 2017. ↑ 54.0 54.1 54.2 54.3 "Europa Mission to Probe Magnetic Field and Chemistry". Jet Propulsion Laboratory. 27 May 2015. Retrieved 2017-10-23. ↑ Blaney, Diana L. (2010). "Europa Composition Using Visible to Short Wavelength Infrared Spectroscopy". JPL. American Astronomical Society, DPS meeting #42, #26.04; Bulletin of the American Astronomical Society, Vol. 42, p.1025. ↑ 57.0 57.1 "Radar Techniques Used in Antarctica Will Scour Europa for Life-Supporting Environments". University of Texas Austin. 1 June 2015. Retrieved 2015-06-04. ↑ Grima, Cyril; Schroeder, Dustin; Blakenship, Donald D.; Young, Duncan A. (15 November 2014). "Planetary landing-zone reconnaissance using ice-penetrating radar data: Concept validation in Antarctica". Planetary and Space Science. 103: 191–204. Bibcode:2014P&SS..103..191G. doi:10.1016/j.pss.2014.07.018. ↑ Westlake, Joseph (2014). "Workshop on the Habitability of Icy Worlds (2014)" (PDF). Retrieved 2015-05-27. ↑ Joseph, Westlake, (2015-12-14). "The Plasma Instrument for Magnetic Sounding (PIMS): Enabling Required Plasma Measurements for the Exploration of Europa". Agu. ↑ Kempf, Sascha; et al. (May 2012). "Linear high resolution dust mass spectrometer for a mission to the Galilean satellites". Planetary and Space Science. 65 (1): 10–20. Bibcode:2012P&SS...65...10K. doi:10.1016/j.pss.2011.12.019. Retrieved 2015-05-27. ↑ "JPL Selects Europa CubeSat Proposals for Study". Jet Propulsion Laboratory. NASA. 8 October 2014. Retrieved 2015-04-17. ↑ Mini-MAGGIE: CubeSat MAGnetism and Gravity Investigation at Europa. (PDF) 2016. ↑ CubeSat Session I: Beyond LEO. 2016. ↑ Sylph – A SmallSat Probe Concept Engineered to Answer Europa's Big Question. 2016. ↑ TRAJECTORY AND NAVIGATION DESIGN FOR AN IMPACTOR MISSION CONCEPT (PDF). Andres Dono Perez, Roland Burtony, Jan Stuplz, and David Mauro. (2017) NASA AAS 17-487. ↑ Project ELSA: Europa Lander for Science Acquisition. Darren Combs, Gabe Frank, Sara Grandone, Colton Hall, Daniel Johnson, Trevor Luke, Scott Mende, Daniel Nowicki, Ben Stringer. University of Colorado, Boulder. 2017. ↑ Trajectories for Europa Flyby Sample Return (PDF). Drew Ryan Jones, JPL. ↑ "Planetary Protection for a Europa Surface Sample Return: The Ice Clipper Mission". Chris McKay, Advances in Space Research', Vol. 30, No. 6, 2002, pp. 1601-1605. ↑ "Europa Ice Clipper: A Discovery class sample return mission to Europa." Chris McKay et al. Proposal from NASA Ames Research Center to NASA HQ submitted 11 Dec 1996. ↑ 74.0 74.1 74.2 Berger, Eric (17 November 2015). "Attempt no landing there? Yeah right—we're going to Europa". ARS Technica. pp. 1–3. Retrieved 2016-01-05. ↑ NASA Receives Science Report on Europa Lander Concept. NASA TV. 8 February 2017. ↑ 76.0 76.1 JPL moves ahead with Mars and Europa missions despite funding uncertainty. Jeff Foust. July 18, 2017. ↑ "NASA Receives Science Report on Europa Lander Concept". NASA/JPL. Retrieved 2017-02-15. ↑ NASA weighing dual launches of Europa orbiter and lander. Joe Faust, Space News. February 2016. ↑ NASA Asks Scientific Community to Think on Possible Europa Lander Instruments. NASA News. 17 May 2017. ↑ Europa Clipper’s launch date dependent on SLS Mobile Launcher readiness. NASA Spaceflight.com. Chris Gebhardt, November 3, 2017. Wikimedia Commons has media related to Europa Multiple-Flyby Mission. This article uses material from Europa Clipper on Wikipedia (view authors). License under CC BY-SA 3.0.